When you come to horses late in life there are too many things you just don’t know. More importantly, you’re not left with enough time to learn them through experience. You think to yourself, “Oh, if there were only a cowboy school“. Well, guess what? There is. 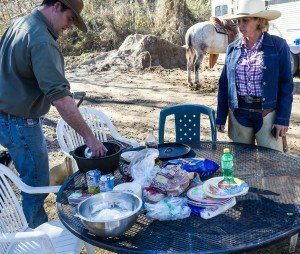 Husband and wife team, Jeff and Jay Ohaco have teamed up with Vaquero Boone Campbell and Laura Fullilove to create a unique experience at the Ojai Valley Cowboy School. 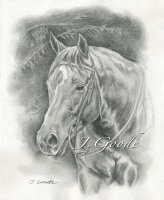 This is the place for horse lovers looking to expand their knowledge. The idea for a cowboy school came about for a couple of reasons. 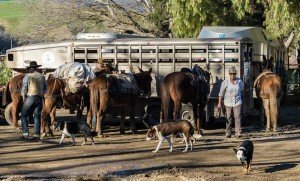 The real-life group of cowboys found themselves with extra time as the drought in California affected the cattle business. But, they also saw many horse people who could benefit from their knowledge. The question became how to present years of experience into easy-to-understand instruction? Cowboys have a wealth of knowledge beyond just horses. They camp and backpack. They repair their own leather. They make their own reins. They cook their own meals. If they tried to present everything all at once it would be overwhelming. One way would be to break it down into smaller chunks. The group at the Ojai Valley Cowboy School came up with a “menu” of sorts – a cowboy school menu. It includes items from how to set up a tepee, to what to do if your horse throws a shoe. Ranae and I contacted Jeff at the cowboy school and told him we wanted to learn a little about packing with our horses, a horsemanship lesson, and the philosophy of the Vaquero. There “standard” menu has over twenty items on it. Although you could ask them about literally anything and they would make a “course” out of it. 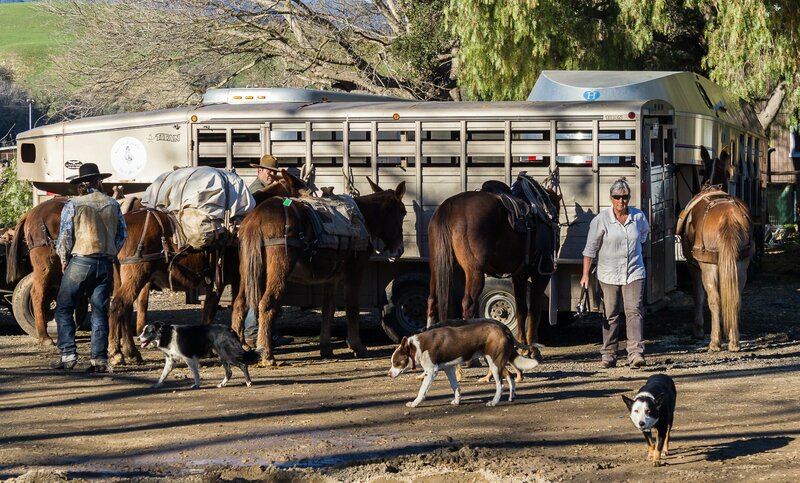 Each of our three courses were set up at a station on the ranch property in the beautiful Ojai Valley. (Even though it was mid-January the temperatures were in the mid 70’s) There were two other local horse lovers, Bruce Freeman and Gretel Compton, at the cowboy school. While we were at one station learning horsemanship, they were at another station learning about packing and camping. At the end of a session, we switched places. This setup offers very personalized one-on-one interaction and you are free to ask any and all questions. The group is very knowledgeable. Graham Goodfield of Los Padres Outfitters in Carpenteria demonstrated how he packs for one of his day trips on the beach or to the backcountry. Graham went into such detail, we’ll feature his interview in a future podcast. 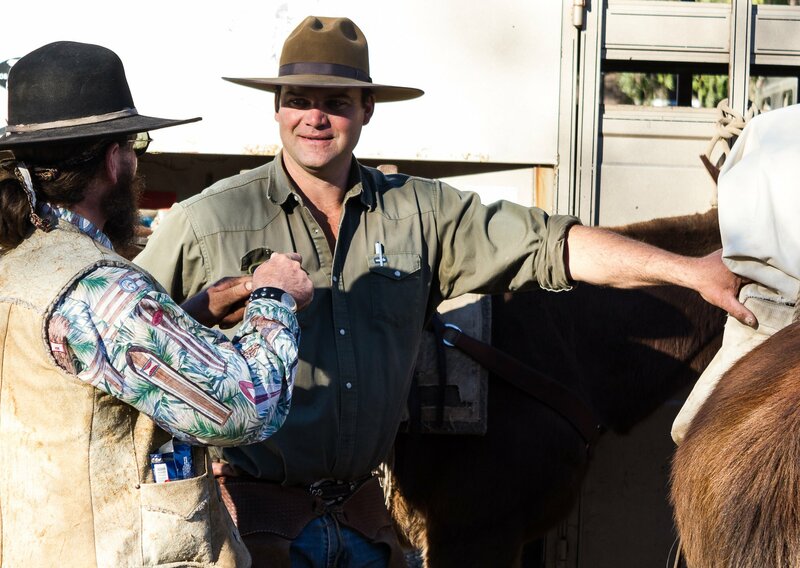 Boone Campbell starts his horses the Vaquero way. It’s a different style of horsemanship and one he gets to share at the cowboy school. Boone shared his thoughts on the hackamore and bits he uses on his working horses. We also learned our fellow students at the cowboy school were wine makers. Bruce bottles under the label Clos de Amis wines. Sitting around the campfire during a break between classes, I got to talk to Bruce about his wines. That interview will also be included in a future podcast. Chris West came out to our cowboy school session to show us some of his handcrafted leather products. Chris owns Boot Purse and Barn. Chris creates unique western accessories that are useful and fashionable. Welcome to the Whoa Podcast about Horses and Horsemanship. I am your host John Harrer. Along with my wife, Ranae, each week on the show we talk about some aspect of owning a horse. It could be feeding or supplementation. It could be bits and bridles, tack, or cowboy boots. We cover training problems, or competing in shows. We talk about farriers and horse chiropractors. And we travel to places we think you would like to take your horse. That’s what the Whoa Podcast is all about.